Philosophical quotes are given by great thinkers who have a different perspective to life and that is not evident to ordinary men. Philosophy gives the essence of life in simple words which is easy to understand. “Many men go fishing all of their lives without knowing that it is not fish they are after” said Henry David Thoreau. Philosophy is the effect of various hardships in life and only the person who has overcome hurdles and hardships can give out his experience in the form of philosophy. Some of the proverbs also reflect philosophy. “Even a clock that does not work is right twice a day” is a polish proverb. Philosophy are the evidence of rich culture and heritage of a country and there were many philosophers like Aristotle, Plato, and George Bernard Shaw who have thrown light on various issues and have led the humanity from darkness to light. 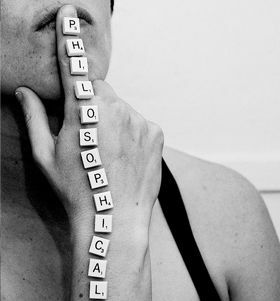 Here are quotes on philosophy and they will help to clarify the mysteries of life.